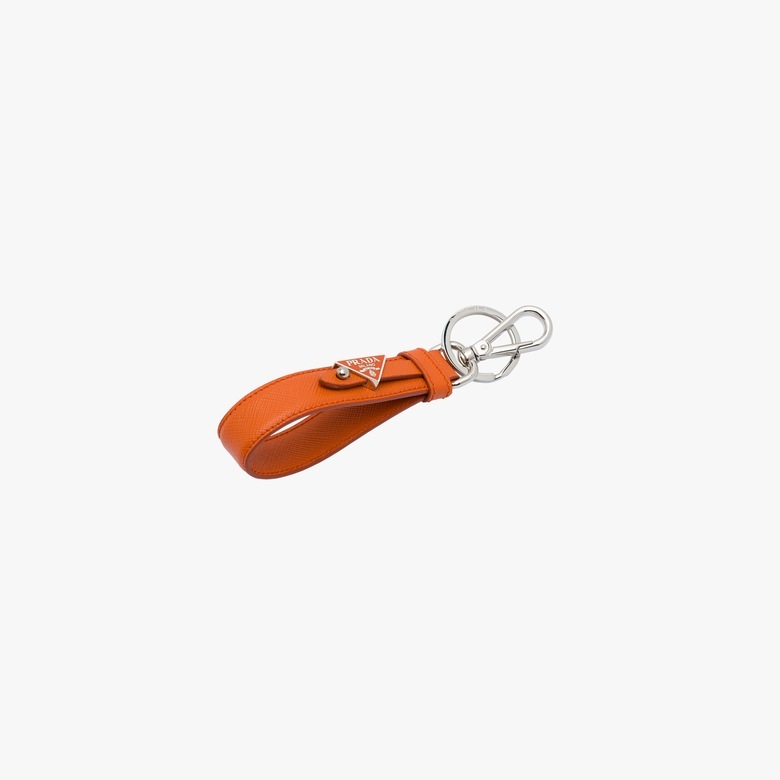 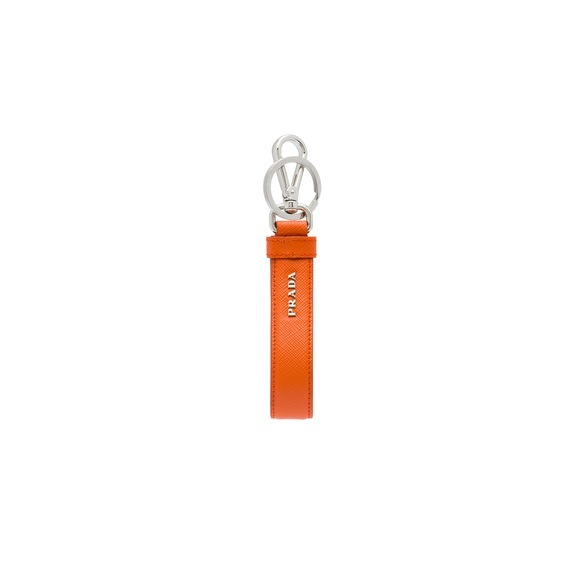 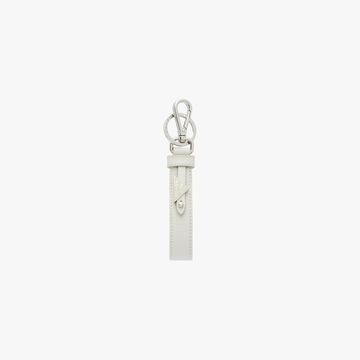 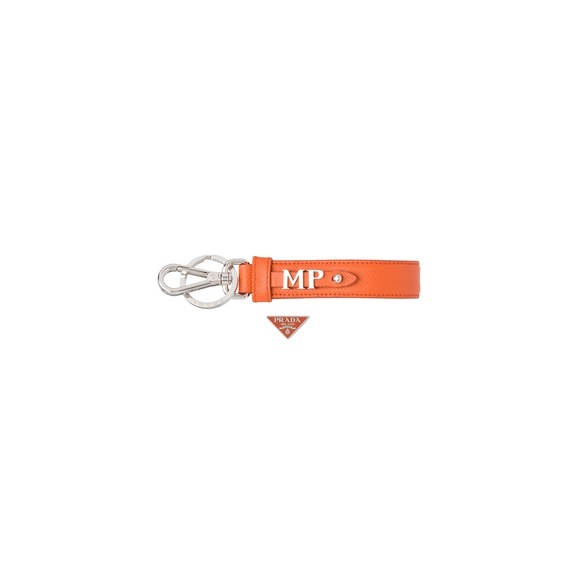 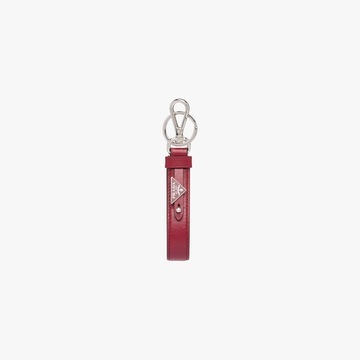 This Saffiano leather keychain is decorated with the enamel triangle logo and metal lettering logo. The article can be customized with metal letters. If customized, the triangle logo will be shipped with the article.